I wouldn't bother dividing Lexington into submarkets: I'd just put it down as a single market with one outlying hotel, the Holiday Inn Express at the Vineyard off Route 52 North. 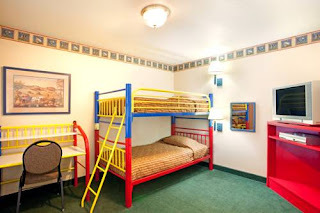 There is a cluster on Business I-85 -- the Budget Inn, Economy Inn, Regency Inn, Lexington Triad Inn -- only one of which (the Budget Inn) even shows up on TripAdvisor, and it only has a bubble score of 3.0. None of these properties other than the Holiday Inn Express offers what would be any relevant competition to this property, as long as this property is run right. 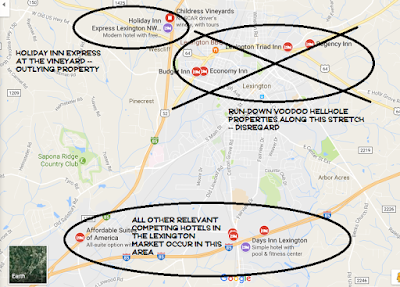 All of Lexington's flagged properties (except for the one outlier, the Holiday Inn Express at the Vineyard) are off the newer stretch of I-85. Other than that Holiday Inn Express, there are no Class A mid-market hotels in Lexington. This can be a problem because in a small city the size of Lexington, you know it's a matter of time before someone puts a Hampton by Hilton or a Fairfield by Marriott there, and guess where it's going to go? The Holiday Inn Express gets away with its comparatively awkward location (and still racks at $148 per night during the summer) because there are no other Class A properties in Lexington, never mind one more conveniently located. Hotel lending and development are going into a downward cycle for new hotels, but if you buy this property, it needs to be ready in a year or two when that cycle starts to swing back up. Lexington is down I-85 in the next county from Greensboro and High Point, N. C., down U. S. 52 in the next county from Winston-Salem where Beechmont has its headquarters, and down U. S. 64 in the next county over from where I live just outside Mocksville. 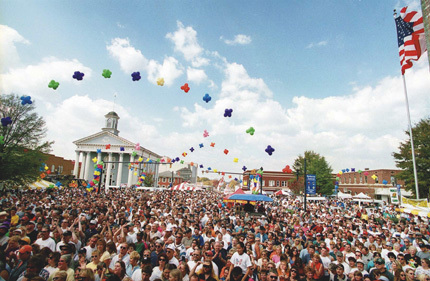 Lexington's economy is driven by manufacturing, particularly furniture (Thomasville, famous as the most recognized furniture brand in the country, is the next town over, located between Lexington and High Point). Plan on filling up one weekend in the spring and fall of each year, and most of the week that follows, when the big High Point Furniture Market has its annual show events and spillover business from that comes to Lexington. This community has quite an orientation toward events. 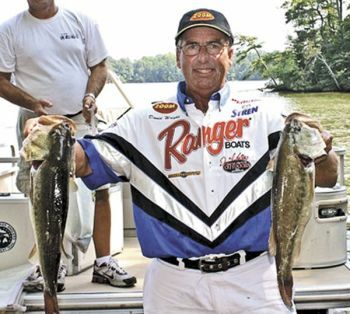 including the Lexington Barbecue Festival, and the Bassmaster tournaments (High Rock Lake, the second largest lake in North Carolina, is only a few miles south). Facility Logistics Services (outsourced warehousing and third-party logistics), Jeld-Wen Windows and Doors, Leggett and Platt (furniture components), MasterBrand cabinets, PPG Industries and Vitacost (vitamin and health food distribution) have operations here. Atrium Windows and Doors, and Emerson-Asco are located just north of the city, in Welcome. The city's Wikipedia entry has a few that we missed, that didn't show up on the list of the area's largest employers. Richard Childress Racing has a NASCAR museum in Welcome but don't expect much from them -- they also own the Childress Vineyards and their own Holiday Inn Express on the site. This is an off-ramp property surrounded by the usual off-ramp creature features -- Wendy's, McDonald's and Bojangles are within walking distance, and so is a convenience store, a KFC, a Chinese restaurant (as well as a liquor store for which we have less enthusiasm) if you're willing to play Frogger across the five-lane Cotton Grove Road. Cracker Barrel, Arby's and Burger King are on the other side of I-85. It's a little back off the street, so visibility is going to make marketing something that is going to have to be approached with some intentionality. And signage on Cotton Grove Road is certainly going to have to be improved, and upgraded. The property is on a four-acre site, if after twenty years or so, knocking it down and using the space to build two mid-rise hotels seems the thing to do. I, however, would recommend using the extra space for truck parking (you have several logistics services in the area) and install a motorcoach lav dump. TripAdvisor hits indicate a need to check -- and probably, replace -- many of the PTAC units in the room at about $650 a pop (when you're taking hits on ventilation and musty odors in your reviews, that's the first place you look), and the mattresses are due for replacement. You might get one more year out of the ones in the downstairs rooms (they're only four years old, which in mattress years works out to about 75 in human years), but the ones in the upstairs rooms need to be replaced forthwith. More specialized suites, including family and children's suites (two to three room bays each, maybe four or five of them), business suites (two room bays each, perhaps three of them), and fitness suites (two room bays each, perhaps two of those). We generally recommend fencing around any property with exterior corridor rooms, and always recommend that the property entrance and all common areas be video monitored. This is something especially to consider given this property's comparatively secluded location, not really visible from the highway. I don't see any evidence of bad management here by the existing staff. Even when a problem comes up for a guest and this hotel takes a hit on TripAdvisor, the bad review frequently points out that the staff made some effort to be helpful and solve the problem. No more downscaling. This property was built as a Comfort Suites, and while it will never be a Comfort Suites again, the Days Inn franchise has to go. It cannot be allowed to be an economy property: there are already cheap rooms all over Lexington. Class B is where we draw the line -- and with the Red Lion brand, we can bring it back to Class A. We need to have marketing at this property be a bit more intentional. Certain things are going to occur in marketing any hotel, but we want to focus on what will work in Lexington. It's as well positioned as any hotel in Lexington to pursue ties with the Civic Center -- a renovated, historic theatre -- downtown. This property has a meeting room that can seat 75 people (theatre style): at that size, it's big enough that we should be able to make good use of it if we get the word out that it's there and we have it. This property's biggest need is better revenue management. If you buy it and sign Beechmont to manage it, I'm going to instantly increase the value of it by seventeen percent for you as soon as I walk in the door, just by telling the staff, raise the rates by ten bucks across the board, and if Wyndham doesn't like it, they can pound sand -- we'd be getting rid of that Days Inn franchise anyway. I've already shared this one with the owner: you can look at the TripAdvisor page for all hotels in Lexington, and the low $57-59 rates for this one don't make sense. Not only does the Quality Inn in Lexington -- another hotel with a used-up brand whose better days are long behind it -- get eight to fifteen dollars a night more (depending on time of year), but a run-down voodoo hellhole independent property on the same exit as this Days Inn advertises a $71.00 rate. Fully renovated, this property could rent its rooms for around a hundred dollars a night and still be a bargain by contrast to the Holiday Inn Express, the only Class A mid-market property in town. It's the doing of the revenue management system in use at Wyndham (Duetto and Rainmaker can be configured more precisely and more in keeping with however aggressive or conservative a pricing policy that you want to pursue -- Red Lion uses Duetto, we use Rainmaker in properties where we're free to use whatever we want regardless of what the franchise uses, if they don't use something that works at least as well as Duetto.) If you use a revenue management system, it should be able to adjust your rates more precisely and sensibly than a good manager calling the property at 8pm every night to get the rate and occupancy and, based on that, making an intuitive decision to maybe tell the clerk to raise the rates for the rest of his shift (to chase a busy night) or lower them (if business is slow); not less so. I know it's a bit counterintuitive to question the expertise of a major hotel chain like Wyndham, and a lot of people might think it's a bit reckless to do that, and it's understandable; but the good Lord did give you this really good brain. It's one of His greatest gifts to you. When you see something that Wyndham's computers are doing that doesn't make sense, don't assume that Wyndham's computers are smarter than you. They're probably not. A lot of people have the idea that if you mark your rooms down, more people will show up; but in real life, it doesn't work that way. Whoever shows up, shows up. When someone needs a hotel room, they're willing to pay a rate appropriate to your market, there aren't that many good, cheap options up and down I-85; and if you have them any lower you'll be charging less than what people will be willing to pay at a good property. The only way that lowering the rates is going to cause that many more people to show up is when it's the kind of people for whom a hotel room is strictly a discretionary purchase, and then you risk security problems. Stick to your guns on the rates. If you don't rent as many rooms, you don't rent as many rooms; if people walk away because they think the price is too high, they walk away. Even if it's up to 20% of them -- it sounds like heresy, but I'm serious. You're better off renting 64 rooms at $75 each on a given night, than you would be renting 80 rooms at $60 each on that night: either way, you're getting the same $4800 in revenue, but your variable costs -- the utilities, the housekeeping, the food -- go way down. You don't want to be stupid about it: if too many people are walking away, you need to get it that someone has to rent the rooms at some price, and be willing to compromise accordingly. But in a hotel of good quality, if there's not a cheaper option out there that's as good (look at the TripAdvisor page of your town, and ignore the rates at any hotel that has fewer bubbles than you), you don't have to cave on rates. But as we've already pointed out, the Days Inn sign has to go. We recommend conversion of this property to a Red Lion Inn and Suites. As a Class A mid-market brand, Red Lion is gaining in competitive strength, while Days Inn has been in decline for more than twenty years and it looks like they would have hit bottom by now. In its day, Days Inn was a good economy-to-mid-market brand. Nowadays it doesn't have the product consistency it needs to be a good value even as an economy brand -- you never know what you're checking in to when you check in to one. Red Lion also has a historic willingness (and in the eastern United States, a present, pressing need) to accept an older property as a franchisee and -- assuming you renovate and keep it up in accordance with their standards -- make it possible for that property to compete against any Class A property with a first-tier franchise. Red Lion isn't going to hand success to you on a plate, but if you want success that comes in a 'kit' you can buy, sign up as an Amway distributor. It's only going to happen for you at this location if you have strong local marketing -- but we anticipate and assume that with any hotel franchise, even first-tier franchises like Marriott, Hilton and IHG. 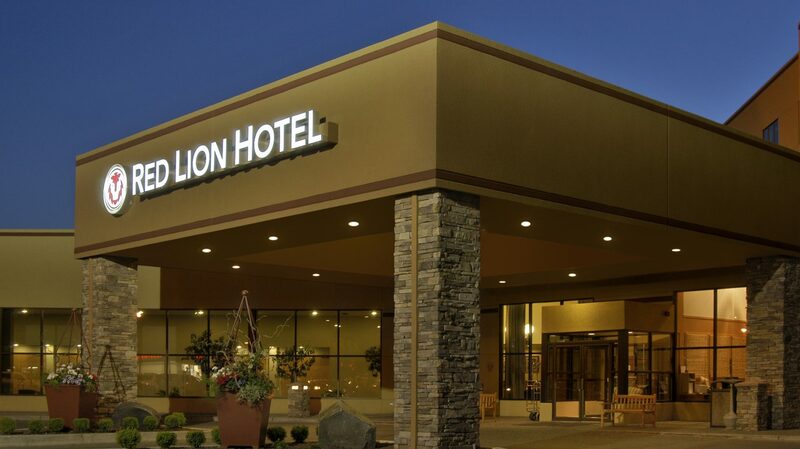 If you want to build a brand new hotel, Red Lion will justify your investment. If you can't spend more than five million, pick up a property like this, convert it to their standards, and you're still in the game. Go with it. Offer $3mil and see what they do. Be prepared to go as high as the asking price, if they agree to deliver unencumbered by franchise and unencumbered by management. Food and beverage should be limited to the required continental breakfast. We like to offer fresh-baked goodies on ours, and there's room for a convection oven in the kitchen. If you currently own or operate a hotel in Lynchburg, Virginia; Charlotte, Raleigh, Hickory or Kinston, N. C.; Philadelphia, Pittsburgh, or Reading-Pottsville, Pa.; Louisville, Nashville or Fort Worth; you should consider a Lexington property, especially if one of more of your current properties is getting corporate or group business from one of the companies previously mentioned. Without the marketing skill and the ability to reach out to corporate and group customers, you'll do well until someone builds another Class A property or two in Lexington, then the value -- and the room rate you can hope to get -- is going to drop.